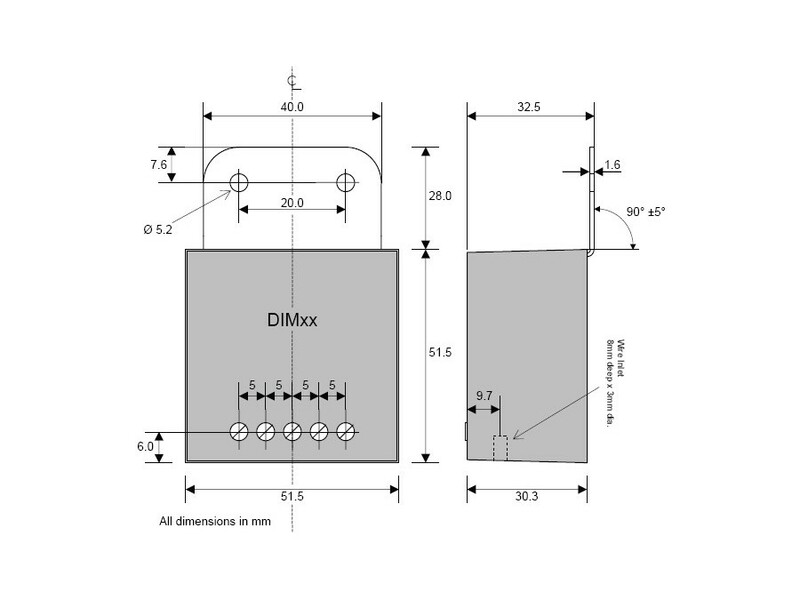 10A Power Booster and Solid State Relay for DIMxx series. 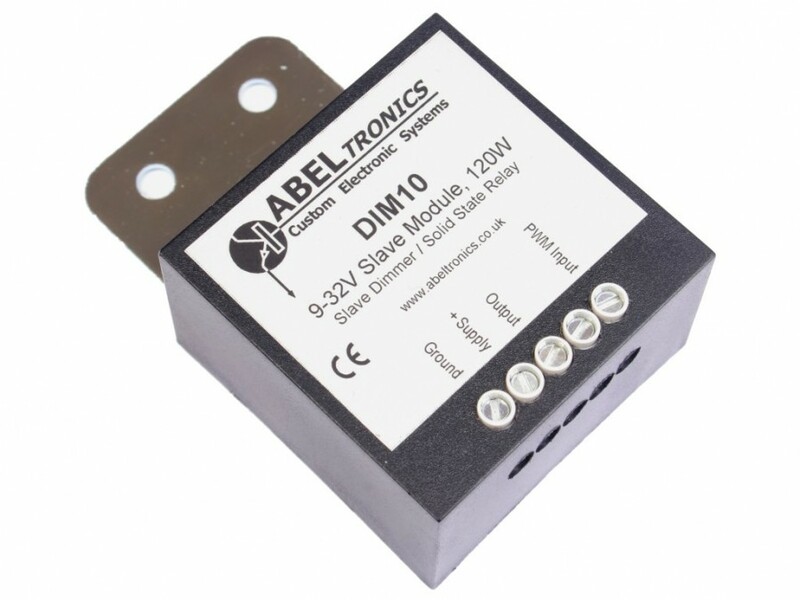 The ABELtronics DIM10 is a high frequency solid state relay that is designed to boost the power rating of the ABELtronics DIMxx series Dimmer Modules. Operating from 12V or 24V, the DIM10 has a slave control input that is designed to connect to the output of the other dimmer modules in the series. The DIM10 switches its output on when the Control Input terminal exceeds 5V, and off when the control input goes below 2V. 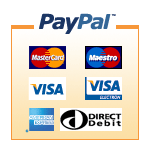 The output can be any resistive load up to 10A such as incandescent or halogen lamps, or LEDs or LED panels. 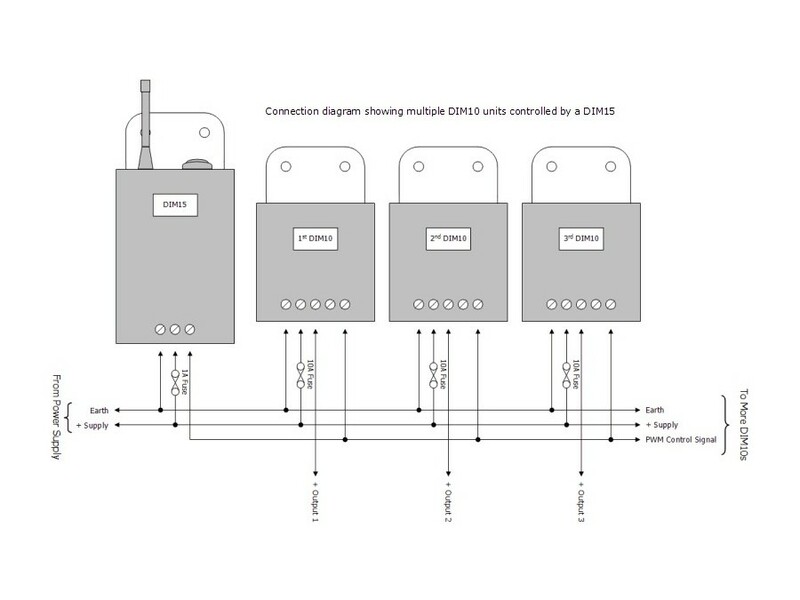 Up to one hundred DIM10s can be connected to the master module, and the DIM10 outputs can be paralleled, providing a total dimming capacity of up to 12kW of low voltage lighting. The units are hermetically sealed and potted in an ABS enclosure with epoxy resin, and are fully protected against water and oils. 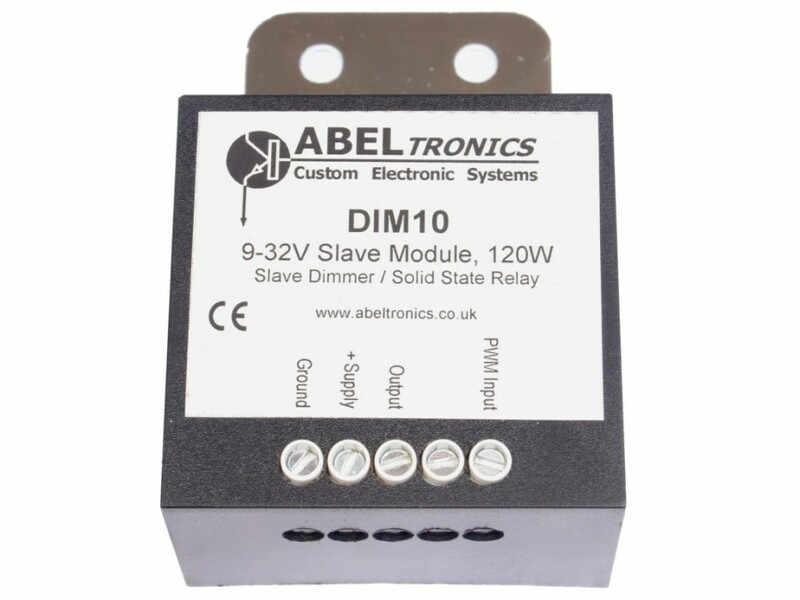 The DIM10 is a slave dimmer, and must be connected to either a DIM11, DIM12, DIM13, DIM14 or DIM15 to provide it with a PWM signal. 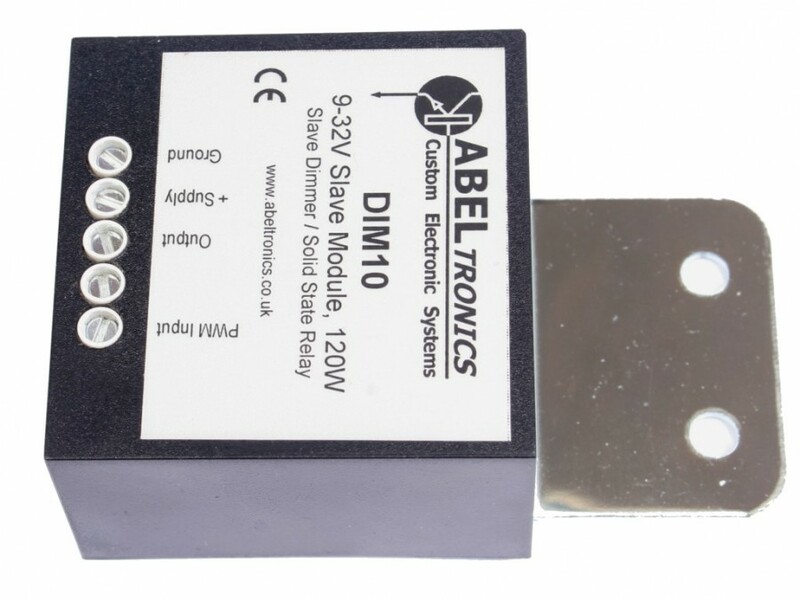 Each DIM10 module must have its +Supply terminal fused separately at 10A or less. 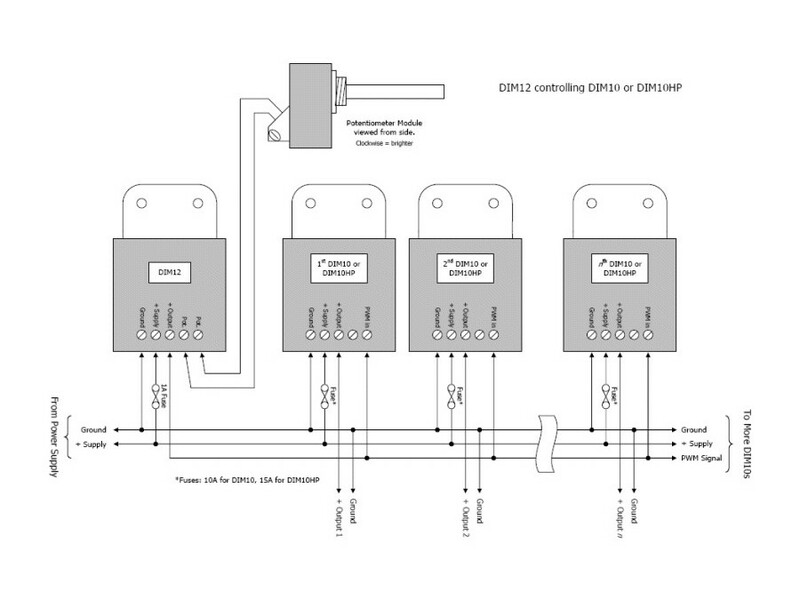 The controlling module (either the DIM11, 12, 13, 14 or 15) can have its +Supply fused at 1A. The DIM10 requires a PWM control signal from one of the other DIMxx series modules which is applied to the control input terminal. 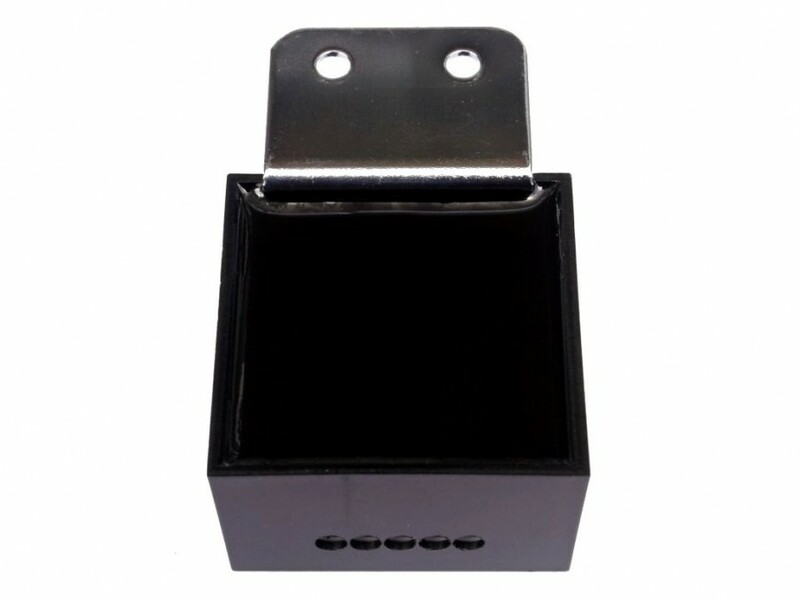 Power is supplied to the +Supply terminal from a 9 - 32V DC source fused at 10A. The terminal marked 'no connection' is a dummy terminal and not connected to anything inside the module. The module can also be used as a low voltage solid state relay. The output will be on for as long as the control input is above about 5V (referenced to the DIM10's Earth terminal). The output will turn off when the control input falls below about 2V. Although the module is designed to work at the 240Hz frequency of the other DIMxx series modules, the input frequency can be up to 2kHz; finding applications where a mechanical relay is far too slow.